In this tutorial we will show you how to completely removing of MySQL on your CentOS server. For those of you who didn’t know, MySQL is a relational database management system (RDBMS) that runs as a server providing multi-user access to a number of databases. The MySQL source code is freely available because it was originally developed as freeware. MySQL is written in C and C++ and is compatible with all major operating systems. 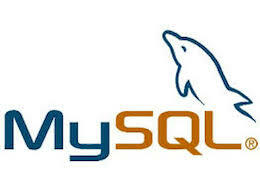 MySQL can be used for a variety of applications, but is most commonly found on Web servers. This article assumes you have at least basic knowledge of linux, know how to use the shell, and most importantly, you host your site on your own VPS. The uninstall or removing is quite simple. I will show you through the step by step removing MySQL on CentOS server. May be it’s good idea to backup databases before doing this. If you don’t know how to reinstall mysql database server, check out our tutorial here. Congratulation’s! You have successfully removes MySQL. Thanks for using this tutorial for removing MySQL server on CentOS system. For additional help or useful information, we recommend you to check the official MySQL web site. Related Posts of "How To Completely Removing MySQL Server in CentOS"